hold hope and hints of strife. in search of strength from "they that wait"
give way to pent-up praise. These pictures were taken in place called Mercy Hospital, street address: 1500 E Sherman Blvd., but the above lines are also about a more abstract place that can be called "The Waiting Room of Mercy," a waiting room that calls us all at different times in life and in any place where we learn from "they that wait upon the Lord" in prayer and supplication. The opening lines of the post were prompted by some hours I spent at Mercy Hospital this past Thursday night, awaiting the news regarding a senior at CCS who, in the peak of health and fitness, suffered a cardiac arrest in our school gym during a routine basketball practice. His teammates were the first to gather 'round him. They are seated in some of the pictures above. Thanks to his coach, the AED in our gymnasium, and the immediate arrival of our local first responders, this story has a very miraculous outcome, but that was unknown at the time of these photos. The last photo is the moment that the boy's father first saw his dear friend, his son's coach, whose calm and trained response saved his son's life. I will post a video link to the good news that came over the weekend. In the meantime, here are two initial news articles from Friday and Saturday. Do you want to hear something that has brought comfort over these past few days? The student in this story is a leader on our school praise team. With him, the student body has sung a song called "I will follow" by Jon Guerra (a friend of CCS) countless times. The praise team sang that song Thursday morning in chapel, not knowing what the afternoon held. A year and a half ago, The Lakes Church made the CCS building their home. Pastor Todd Ballard is lead teaching pastor of the church. His office is upstairs near the gymnasium, and he often practices with our basketball team. This was the case Thursday. He had left the gymnasium when he heard all the commotion coming from the gym and hallways. Here are his opening remarks from this morning's message. Just three days after that announcement in church, WZZM 13 ran this story on the 6:00 News. The student who is the unnamed subject of that post is a key leader in our praise and worship rotation for chapels. There was a time when he was reluctant to sing in public. 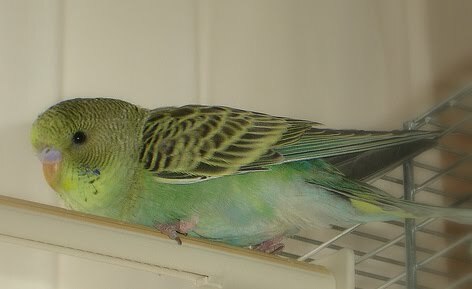 In fact, we had to coax him to join two years ago. That's hard to imagine now. I mention this only to say that Luke and his fellow praise and worship leaders have led our students in singing "I Will Follow" countless times at Fall Retreat and chapels, and the special K-12 praise and worship times we do at the end of each quarter. This song was sung by the praise team the morning of the incident. The first clip provides the lyrics; the second clip is more reflective of our student body singing along. The December 16 post above came to me Sunday morning before church as a cathartic process. Sometimes what I write in such times is never seen again. Sometimes it still makes sense years later. Sometimes my old drafts have subconscious influence on new thoughts. This was clearly the case with my thoughts of this weekend. "The Rhythm" was first posted in 2007 and explained somewhat in 2009. Similar thoughts were clearly at play in writing "The Waiting Room of Mercy," which echoed lines of a post by that name in 2005. At any rate, the following is a nice companion piece for this week's events. It was posted December 17 but pre-dated to appear below the two posts above it. The moment you were born, the rhythm of breathing in and out began. Try this with me. Hold your breath for 30 seconds as you read this paragraph. Ready? Start.You are suspending a rhythm of life. If you do this for too long, your brain will begin screaming, “Hey, silly, let your body do what God made it to do. Let it breathe until it’s time not to.” Still holding?.... Now exhale and breathe in again. Ahhh... isn't it amazing? Earth’s air outside our bodies has just the right amount of oxygen; our lungs have just the right design to take that oxygen from the air and pass it along to our blood; the heart sends the oxygenated blood coursing through our veins to millions of cells and muscles, including those that power the billows of our lungs that breathe in and out the air. Just as our brain whispered for breath as we read that last paragraph, our body itself cries out for air, "Keep breathing, lungs! Keep beating, heart! Your rhythms of life sustain me!" This is just a hint of what the Psalmist meant when he said, we are “fearfully and wonderfully made”? It is frightening. It is wonderful. We cannot bank breaths. It's strictly an "in and out" account. 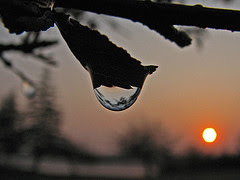 Some day, for all of us, that last breath of life is let go. The opposite of inspire happens… and we expire (we literally ex-spire, breathe out). The “spire” part of both words is the root of the word spirit. The spirit leaves us with that last breath. This may seem too obvious for words, but events of recent days make it feel profound if not surreal. Those events prompted me to share some of these thoughts with our 6-12 students last Friday morning. Our beating heart and breathing in and out measure time more surely than a clock, for they measure our time. Is that what is meant by “fearfully…made”—that sometimes we are afraid the rhythm will stop? Maybe. It does happen. Scripture tells us life is a vapor, and its brevity is not something we like to dwell on. For that reason, I prefer to think "fearfully made" means complexity beyond comprehension. I touched on this in a poem called WONDER IS. The truth is we wonder about far more than we know when it comes to the miracle of life. One of the comments left in the Mlive article in the December 16 post came from a reader who could not understand why God and not science was getting credit for what many were calling a miracle. I understand that modern man is prone to give science the credit for such events. After all, science figured out the mechanics of how organs like the heart and lungs function, and man did invent the AED machine that provides the electrical impulse needed for resuscitation, but prayer cries out to the One who first put that impulse in the first heart. Prayer reaches beyond how things work and gives credit to the Creator who knows why they work (i.e. the reason for life) to begin with. Those who reject God or relegate him to some far-off "force" seem to fear the fearful miracle... They fear of the implications of being "wonderfully made." It's not the wonder that frightens them... it's the word made. That word implies a Creator. What if the breath of life is inseparable from the breath of God? If so, believers and agnostics alike face two choices: to believe that breath and the God who made it have purpose. Or to pretend... that LIFE JUST HAPPENED. Is that all there is, is that all there is? and have a ball... If that's all...there is"
Here in West Michigan there are at least two radio stations that begin playing Christmas music all day and night—STARTING THE MORNING AFTER HOLLOWEEN! And thousands of people tune in. I know because my wife is one of them. which means: my three daughters (now married) pretty much do the same. Don’t get me wrong; I love Christmas music. Hard to imagine a bigger fan, but if pumpkins are still on porches; and trees are still laden with leaves; and the pilgrims have not yet had their moment on stage; it’s hard for me to get fully caught up in Christmas music. This year was a little different for two reasons: First, we had measurable snow early in November. Put a nice blanket of white on the ground and flock the evergreens I pass on the way to work, and I’m ready to hear Bing Crosby describing the scene. 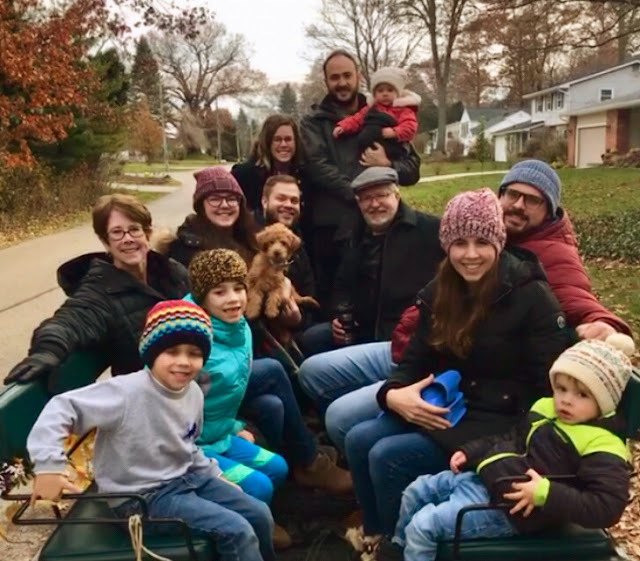 Second, we treated Thanksgiving like Christmas this year by having the tree in place complete with presents and even a sleigh ride (though by then the snow had melted and we had wheels rather than runners). This early Christmas was due to the fact that our three girls are scheduled to have Christmas with their husband’s family this year so we will be a few states away with Julie’s parents. It’s a cycle that works amazingly well. So here we are on the first day of December, and I’ve been hearing hours of Christmas music for a month. This would have never happened forty years ago in my life. When I was a kid, Christmas music was totally out of context until after the Hudson’s Thanksgiving Parade in Detroit. 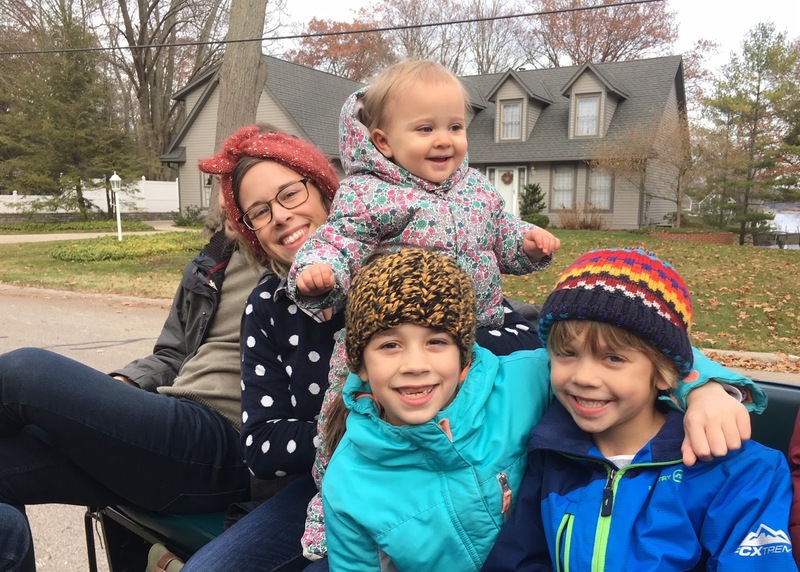 If we were not watching the parade on TV, we were literally down in Detroit watching the parade from the curb. 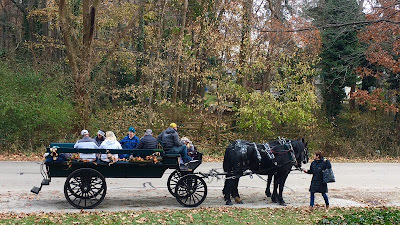 The last float was, of course, a huge sleigh with Santa at the reigns. The mayor of Detroit gave Santa the “Key to the City” in front of Hudson’s [which merged with Dayton's and later gave birth to Target]. Once Santa was in town, it was okay to play Christmas music through New Year’s Day. Even when I went away to college in 1974, the late November start to Christmas music was my rule of thumb. Thanksgiving Break began the giddy countdown for the trip home for Christmas Break. The emotions of that three-week gauntlet of classes, concerts, and calendar “X”s on the page seemed perfectly choreographed to a never-ending Yuletide playlist echoing through the halls of the dorms. It was the Christmas of 1978 that my brother Paul welcomed us home by playing a new Christmas album the morning after my brother Dave and I finished the ten-hour trip up I-75 back to Michigan. The first Carpenter’s Christmas Album is probably the best seasonal album of all time. Rather than a collection of separate tracks, both sides play seamlessly in a blend of sacred and seasonal, solo and choral, holiday hits. 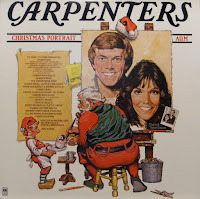 It was also the album that showcased Karen's "Merry Christmas, Darling," which quickly became a favorite of college kids all across the country who found themselves very happy to be home with family but painfully lonesome for their sweetheart states away. To enjoy the full effect of what is called the "non-stop" original album, click below. The first five minutes is an orchestral overture, a touch that lets us know they knew this was no ordinary album. My wife's parents sold their farm in Kansas a few years ago. It was sad. They had lived there for over 50 years. Perhaps the hardest adjustment for Dad was moving into a smaller simpler home with no morning chores and livestock to look after. 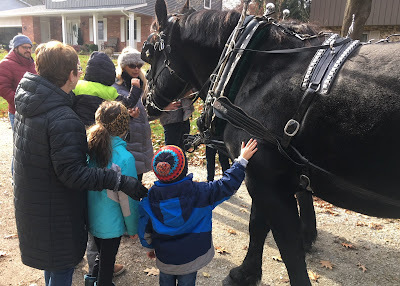 His last days on the homestead with "Pete" his draft horse were very much like that scene from Fiddler on the Roof when the village is packing to move from Anatevka, and Tevye slips off to the barn to say goodbye to his horse. The scene has no song, and many Fiddler fans may not remember the moment, but it always gets me because for decades it reminded me of Dad in his barn.The sale of surrey and tack and farewell to "Ol' Pete" was like life imitating art--profoundly so. It's about a great tradition Dad started years ago when he took all the grandkids on "Jingle Bell" rides in the surrey with "Ol' Pete." I will post videos of those rides here someday. The last of such was Christmas, 2014. 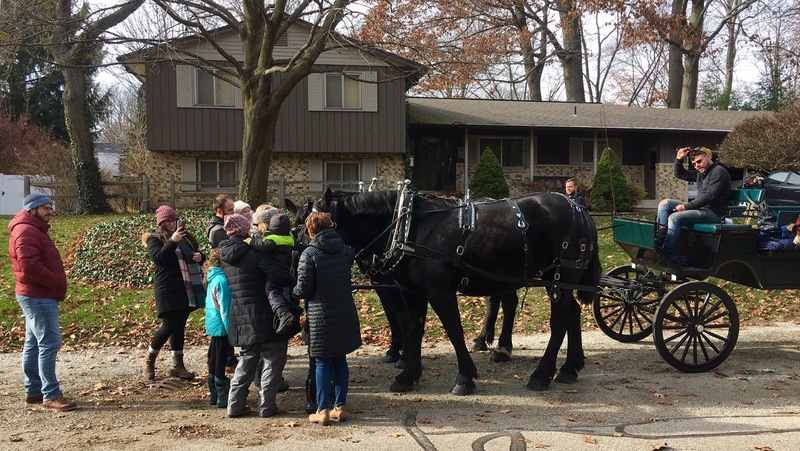 In honor of those Currier and Ives memories, this Thanksgiving, Julie hired a pair of Belgians and a wagon for twelve to come right to our front yard and take the whole family on a long ride down to Spring Lake and back. It was wonderful. The only thing missing was some snow, which came a few days later. By the way, Julie's parents are doing fine in their new simpler home. This past summer we spent several days on Mackinac Island with them, and the reason we took them there was the horses. Maybe I'll post about that sometime. Sorry I've been so scarce here at POI for many years. of unseen geese high in the night. when I was told the footbridge washed away. Here is the backstory to the last two lines in this poem. When we were helping Dad build the barn, we sometimes had "stand around" time where we weren't much help. One day, I was standing on the west side of the barn with a hammer in my hand, and for no particular reason, I bluntly tapped a big gray Beech tree beside me. It was not a particularly hard hit. I was not trying to damage the bark, but to my surprise the ashen bark turned green where the hammer struck. It was a contusion of sorts, that pressed the thin crust into the softer layers below. I did it again and it worked again. "Hey, Dave, look what happens when I tap the bark with the hammer." And in a mindless, systematic experiment, I began tapping the tree as if to make it look like a Dalmatian. I thought nothing of it. This Beech was one of thousands of trees around me in the middle of a "forest." I wasn't thinking ahead to envision it someday in plain view across the way from the back door of a house that existed only in my father's head. Dad climbed down from the barn rafters in time to see me putting the last licks on the tree, "What are you doing that for?" He asked, more puzzled than angry. "I don't know," I mumbled, feeling a scolding on the way. But instead he simply said, "You do realize that tree will live with those marks long after we're gone." "Gone from here today?" I asked. "No. Gone from this Earth," he said, not realizing the casual remark dropped in my mind like a slab of granite on soft ground. At that age, I did not give much thought to the fact that Dad or Mom or any of us would ever be "gone from earth." The facts of death I understood, but the brevity of life in the context of things that go on living fell with a thud and sunk deep. I could not get my fingers under that thought, much less lift it into place. Gone from this Earth. In time, the truth hits hard enough to gently leave its mark. It's been forty years since I tapped the gray bark of that Beech, but those words stayed with me. Like the many things he taught us while we worked, the quiet lessons learned from Dad outlived a hundred sermons I've forgotten. Dad did not like the thought of a couple acres of land being under water each spring, so after the barn was done, he traded in the blue Ford tractor for an old two-cylinder John Deere that had both a front bucket and a back-hoe. With that old yellow tractor, he dug out the creek, making the bed about five feet deeper with high clay walls from north to south border of our land. He was onfident that this much deeper creek bed with banks now two feet higher than the ground arond it would contain the next spring's high waters. In time the creek banks looked "normal" again. Dredging the creek took every Saturday of June and July. But once it was done in August, Dad was free to take on the project that required a reliably narrow creek, his bridge to the back five acres. Now mind you, on the other side of the bridge was nothing. Not a road, not a path, just trees, but in order to blaze such a road, he needed to get the tractor across the creek, and that's just what he did. By fall that year, the bridge was done. Made like the barn but with bigger timber from the land. One crisp October night, at the end of a long day, we all stood on the bridge in the glow of a harvest moon. In the distance, we heard the faint sound of southbound Canada Geese becoming gradually louder until the cacophony was just overhead. Looking up, we saw a long "V" of flapping silhouettes sweeping past the orange moon. No one said a word, but when they were gone, Dad told us of their amazing migration rituals, how they rotate leaders and rest and feed together. To this day, when I hear geese in the night sky, I think of that night on Dad's bridge. 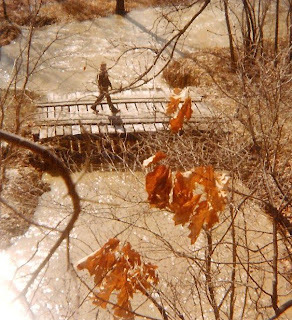 Years later, from up in a tree, I took this picture of Dad crossing the bridge in the spring (some oak leaves never let go through the winter). 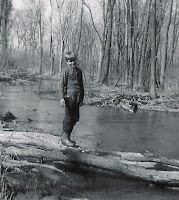 As you can tell, the deeper creek worked until a particularly rainy spring about six years later, when gathering sticks and fallen limbs dammed up against the bridge in the night and washed it away. With his back hoe he then dug out the both banks and laid the slabs like Lego blocks cemented together in a multi-layered cantilever arch. It took several weekends, but Dad enjoyed it. This sort of work was his secret passion, and he loved telling people his land was connected by "I-94." 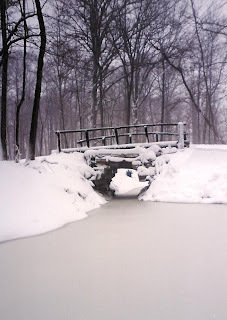 This quaint bridge was shade in the summer when we swam in the creek and our favorite resting place when we skated in the winter. The opening is narrower than his first bridge, but it's much higher and the ramps on either side (under the snow in the picture) held several tons of concrete slabs. The high water flowed through every spring with no problems... until 2004. Dad's second bridge lasted over twenty-five years, and then in May of 2004, Macomb County was hit with some of the worst flooding in the Midwest. The 100-year flood levels were reached. (See video here. This was nine years after Dad passed away.) Like many of the bridges and roads built by the real engineers, by the time the rushing waters of 2004 subsided, the base of Dad's bridge (on the right side of that photo) eroded away and we had to remove the portion that remained. I have pictures of it somewhere as it last appeared after the damage, but I prefer to remember it as it was: the place we had to duck when skating through, where we sometimes swam or held a fishing pole, and where one night we stood with Dad and saw the geese against the moon. It was, in fact, the very first day of May, a month the little boy did not yet know by name. What use has a boy of four in corduroy bib-overalls for names of months or numbered squares upon a page? To children it is only the rhythm of remembered days that mark the passing of time. This day would never be forgotten, but the little boy did not yet know it had a name and number. The little boy woke to a silent, sun-lit room and listened for voices downstairs. Hearing none, he rolled from bed and stepped into the crumpled leg holes of the same corduroy overalls that had dropped around his feet at bedtime. On his bedpost hung the same striped shirt he had worn the day before, and he pulled it from the post and over his head, mindful to put the neck tag in back. Thinking none of this, the little boy clipped the second slide-snap to the bib and smiled. Dressing himself was so new a skill that it brought great satisfaction. He double-stepped each tread down the stairs and turned into the kitchen where his mother was drying dishes from a rack beside the sink. “Happy what?” he said, rubbing sleep from the corner of his eye. 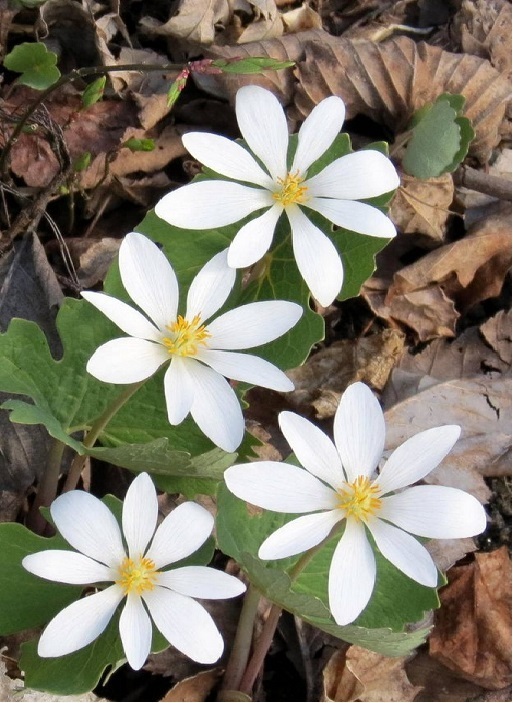 She went to the calendar on the wall beside the refrigerator, pulled out the tack that held it there, and flipped a page over the one of Easter lilies and a cross. The new picture was a quaint stone cottage with flowers all along a garden path. Below the picture was a small word above a page of numbers. 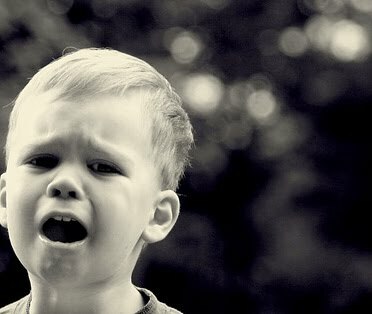 There were three letters in the word, but they meant nothing to the little boy. Mothers enjoy "teachable moments" when they take the time to unveil a new fact to their child. Such lessons are taught in hopes that someday a teacher will ask her class if anyone knows the answer and then be amazed by the brilliance behind their child's raised hand. Subconsciously, this hope prompted the boy's mother to take a wooden ruler from the junk drawer and begin talking like a teacher. “God?” asked the little boy. “I don't think so. Well, maybe. God made days and nights and the sun and moon, and I think the moon has something to do with months...." Her confidence began to fade. "I'm not sure why we call it May." "Well, if God didn't make it May, who did?" The little boy's face scrunched with confusion. "How many years are there?" he asked. "You're making this way harder than it is," she said, wiping crumbs from the table into her hand. "Years are a whole different thing. There are too many years to count. There's all the years that already happened and all the years to come. This year is number one-thousand-nine-hundred-and-sixty, but there are lots more than that." "How many more?" asked the boy. "Thousands and thousands more from way back before we even started counting.... These pictures and numbers on the wall are called a calendar. Each calendar holds one year. We've gone through four calendars since you were born. That's why we say you're four years old. His mother laughed, “Well, I’ve used up thirty and your dad’s used up thirty-one. In a little while, you’ll be on your fifth calendar, and when you turn five, you'll go to school in a month called September. At school they'll teach you a poem all about this. "They will," smiled the boy. "How's it go?" "Um... Let's see... 'Thirty days hath September, April, June, and November. All the rest have 31 one except...' I can't remember how it rhymes after that. February has twenty-eight except in leap year." She started the lines again and got stuck at the same place again. Then shook it off as if misspelling a word on a grocery list that no one else would ever see. "It doesn't matter right now," she said, "Right now I'm just trying to explain why today is May Day. Let's just stick to months. There are twelve months in a year—like inches on this ruler. See? Twelve months and twelve inches. May is just one of the inches—except it doesn't measure anything...well, time I guess. It measures time. So... there are thirty days in each month—except, like I said, for the ones with more or less." The little boy looked more lost than ever. "Oh, never mind," she sighed. Weary from one minute of teaching, his mother retired the ruler to the drawer and retied her apron strings. “There's a poem about it," she sighed. "It’ll all make sense to you someday. Just trust me for now. It’s May. Today's May first, and that's why I said, I said, 'Happy May Day, My Dear.'" “Happy May Day,” her son said blankly. Ready to change the subject, she squinted toward the picture on the calendar. "Isn’t that a pretty cottage? Look at those flowers. I think those are tulips by the path to the porch. So pretty...."
“Maybe somebody like Ol’ Pete,” the boy smiled. “There. That looks better. Now let me fix that twist in your strap,” she said, undoing the wire clip he’d worked so hard to fasten. The boy was only slightly more familiar with clocks than calendars, but still he wondered where time went when he slept. He liked to wake up with his family for breakfast, but sometimes his dreams took him so far away that they were all gone by the time he came back to his bed. The same thing happened when he took naps in the afternoon. Sometimes he was not tired at all and just stared up at the ceiling until he heard the school bus stop at the end of their driveway, but other times he drifted off so deep in sleep that his big sister had to wake him just in time for supper. Sometimes on the ride home from his grandparents' house, he fell asleep in the car but woke up in his bed. He often spoke of flying in his dreams but did not know such soaring through the night came only when his father carried him to bed. “A sammich?” she mimicked with a smile, grabbing the jars from the cupboard. The little boy nodded, not knowing he’d left out the “w” in the word. His mother made the sandwich and cut it from corner to corner because she had learned that biting into triangle-shaped halves helped keep the jelly off her children’s cheeks. She took the knife, pressed off a corner of the oozing bread, and popped it in her mouth. This was her trademark on sandwiches, her meager reward for being “chief cook and bottle washer” for a brood of four children born roughly one year apart. “There’s your sammich,” she said, pouring him a half glass of milk. “Your father called and said he’d be home by noon to work in the garage. Why don’t you play outside until he gets here. I have something you can do for me when you go out." "Okay," said the little boy. He drank the milk, and when his mother turned toward the sink, he wiped the white mustache on the inside of his T-shirt. Picking up the second half of sandwich in his right hand, he took the cup of sugar in his left and stepped out the back door. His mother watched him from the kitchen window as he stopped at the tire swing in the tall oak tree. He pressed the last bit of sandwich in his mouth, pushed the swing with all his might and quickly stepped out of its way on the backswing. Through the screen, his mother said, "Don't let that tire hit you. It'll spill the sugar." "And when you give Mrs. Palmer the cup, be sure to say ‘Happy May Day.’ She’ll like that." "Okay," he echoed. Putting the cup in his right hand, and carefully plodded along. It may have been a cup of sugar in quantity, but what carried it was actually a plastic thermal mug, the inside of which had been pink before it turned a shade of brown from years of holding coffee 'til it cooled. The outside of the mug was clear plastic over burlap. The boy had seen the set of mugs at the Palmer's house when the grown-ups sat around the table talking. He could almost smell the coffee in the air as he stared at the sugar in the cup. As he approached the ditch of the road between their house and the Palmer place, he held the cup in both hands, knowing how tricky ditches can be. It had been a dry, warm spring, and the ditches had no water he could see, but he had learned not to trust the ditch whose soggy bottom sometimes wet his shoes, and with a small leap, he was half-way up the other side. Not a grain of sugar lost. He smiled and glanced both ways at the paved road, crossed, and repeated the careful leap at the ditch on the other side. Ol’ Pete’s little shack-of-a-house that sat on a sliver of land along the ditch on the other side. As he walked across the narrow un-mowed yard, the little boy stood to look at the house as if for the first time. Only once had the little boy seen Mister Pete up close. Several months before, in the flannel days of fall, he stood beside his father while the two men talked in the very spot where he now stood. It was then he studied the man’s face and knew why the grown-ups called him Ol’ Pete. Most of his hair was gone, and what had not turned loose turned gray before its time. Even grayer were his whiskers. He didn’t have a beard as such but never shaved without a reason. Sparse gray stubble circled his mouth and filled his hollow cheeks. He did not look as old as the little boy's great grandfather, but standing there beside the boy’s father, Ol’ Pete looked old enough for his name. His voice sounded old, too, as if he needed to clear his throat but never bothered to do it. Actually, Pete was not as old as he looked, but he was a little man whose trousers seemed cinched a notch too tight and whose frame barely filled his worn shirts. His was a hard and lonely life, first in the Navy during the war and now as a deckhand in the Merchant Marines on one of the hundreds of freighters that coursed from port to port across the Great Lakes and along the Saint Lawrence Seaway. All of this the father was learning while the little boy, oblivious to most of the conversation studied only details of their faces. The little boy gently tugged at his father’s hand to remind him he was there, but the men continued to speak of places that had "port" in their name—not like Port Huron but Port of Duluth, Port of Milwaukee, Port of Thunder Bay...names like that. His father told Pete that he had also been in the Navy, but only the Reserves, and soon the conversation lost steam until it sputtered into talk about weather and how it was staying light longer each evening. Eventually, the two men sighed in awkward unison, said 'good night,' and parted ways. The boy's father slung him onto his back and carried his tired son home. 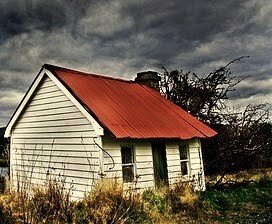 The boy recalled that conversation as he stood staring at the door of Mister Pete's little house. There were many things, however, that the boy, his father, and most others did not know about Mister Pete: To begin with, no one seemed to know his whole name. Pete was all the name they needed for a man so seldom seen. He spent about ten months a year on the Great Lakes in cycles of four-months-on-three weeks-off. The weeks off were spent alone there in that little house—no wife, no dog, no friends or guests that anyone had ever seen. The house was a small one-room structure with a low-peaked roof. In the middle of the front wall was a door with a sash window at each side. To the boy, the drawn curtains of the windows were like sleeping eyes. Such a little place could only be home to a man accustomed to the tight quarters of ships who slept for months on a canvas bunk attached to a steel wall. Such a man has little need for extra space—what is space, after all, but emptiness? The smallness of the house helped hide the fact that it had so little to hold. When Pete bought the place, ten years before, Atkins Road was just a gravel lane that ran along the southern ridge of the Black River, and the road now called Charmwood was a two-track path that disappeared into a horse pasture. Pete had chosen to live his on-land days in this rural part of Port Huron not for its solitude—though that suited him—but for the fact that he had grown up a few miles from the little house Those woods, and pastures, and the long rolling hill to the river felt as much like home to him as any place on earth. Atkins Road was paved and wider now. Soon after, the pasture was parceled into lots, the two-track got a name, and one by one new homes changed all the scenery so much that Ol' Pete hardly recognized the surrounds each time he came home. But the two biggest changes came when houses sprang up on both sides of his little lot. Mr. Palmer and the boy’s father each purchased an acre of land on which to built their homes with every thought of being neighbors for life. Pete's house was so near the new Palmer place that, had it been made of matching brick, it may have looked like a guest house along side their driveway. But the little house did not match anything. It was out of place and in the way at the same time. So much so that the neighbors often treated the empty house as if it weren't there. Not so for the little boy. He stared at the empty house whenever he walked past, much as one watches a sleeping dog when walking past the circle path that’s drawn by the compass of his chain. The little boy resumed his walk with cup in hand and knocked on the side screen door of the Palmer house. “Well, looky who’s here,” said Mrs. Palmer, followed by a gravelly laugh. “What have you got there?” she added. “She didn’t have to do that,” again came the gravel laugh. She opened and closed the door just long enough to grab the cup. The sun on the screen made it impossible to see her face, but the boy waved anyway, then turned and stepped from the driveway to Pete’s narrow yard. It was then the boy saw them for the first time. The reason he had not seen them moments before was because the idea of picking flowers had not yet been planted in his head. But there they were. Just like in the picture above the word MAY on the wall. Tulips his mother called them. Right there in front of him in a row. He bent down, carefully picked a handful, and continued across Mister Pete’s narrow yard. It was true the tulips were in a row, but what the little boy chose not to see was that the row was in front of the little house on both sides of the door below the sleeping eyes of the windows. He continued walking, down and up the ditch, across the road, down and up the other ditch, then walking faster as he neared the back door, crossed through the laundry room and up the steps to the kitchen. “Happy May Day,” the little boy said, holding the bobbling bouquet toward his mother's face. The boy sneaked up the stairs but his father was already walking toward him as he reached the top. He scooped his youngest son up in his arms. “Happy May Day!” said the little boy. “I haven’t got a straw hat,” the little boy laughed. It was an exchange the boy and father shared whenever his dad came home with nothing much on his mind. They stepped into the kitchen, just in time to see the flowers being placed on the center of the table. “Where’dja get the tulips?” the father asked. “Mrs. Palmer sent them,” she said. “Picked them where?” his mother asked. Strange how the entire mood of the room, the house and world could be changed so quickly by such a simple question. The boy of four could feel his heart beating behind the bib of his corduroy overalls. “Picked them where?” his father asked again, standing him on the floor. The father walked across the kitchen and dining room to the far window to look at the house, but he could not see the flowers. “He didn’t steal them,” whispered the mother in his ear. “He didn’t take them from a house. They were outside..."
"Outside...inside... It's still the man's house..."
“He’s four. I’ll do it,” insisted the mother who was now almost in tears herself. A mere sixty seconds had passed since the little boy said, “Happy May Day," and now there was not a happy eye in the house. Here we must pause in this scene from more than half a century ago. There are, no doubt, as many different ways to handle moments like these as there are different parents in the world. A thoughtful response is more prudent than a visceral reaction, and many a father wishes he could apply the wisdom of age 60 to his actions at age 30. Readers from one point in history would be wise not to judge too harshly parents of a different time. In mid-century America, the father was considered the head of the home. It was a an era when the gap between right and wrong was never filled with fluff. Self esteem was not bestowed by sparing kids from guilt but by helping them not be guilty. It was a time when the choice between right and wrong was sometimes as clear as knowing which was the harder thing to do. By that virtue alone right choices were often identified... and all that remained was the doing. The little boy walked slowly past the oak that held the silent swing like a gallows. Each breath he took between sobs sputtered and halted in his heaving chest, but his feet kept moving forward to the road. Down and up the ditch; a glance both ways through teary eyes before crossing; then down and up the ditch on the other side; a few slow steps and there the boy stood at Ol’ Pete’s door. 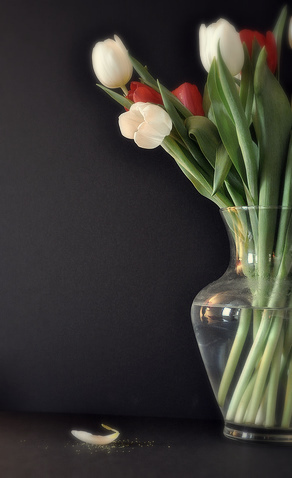 With a half-dozen tulips in his right hand, the left hand reached up and knocked. The soft young knuckles barely made a sound. He changed the flowers to his left hand and knocked again, and this time the sound of his skin against the wood was heard inside the house. The knocking at the door sounded first like a mouse in the warrens of the wall, and Pete made a mental note to put fresh cheese on the traps he had emptied the night before. Oddly, he didn't mind that mice continued to find new ways into his snug fortress. He considered it an ongoing game whenever he was there to play. But the second knocking sound, he could tell, was coming from the door, a fact that puzzled him much more than the thought of a mouse. Opening the door, he saw the crying boy with tulips in his hand. “Where did you come from?” Pete asked, as he tucked in his undershirt. “From over there,” the little boy said, pointing with the tulips to his house across the road. “No. I didn't bring 'em—I took ‘em. See?” He pointed at the ground. Pete stepped out his door for a better look at a flower bed he had not tended in years. He had planted the tulip bulbs beneath both windows the first year he moved into the house, but since that time, they typically bloomed and withered on the stem while he was out to sea. Seeing them now in the little boy’s hand was the first time he had paid attention to the tulips in years. Even so, his first thoughts about the boy pulling them from place were anything but kind. “Can we fix ‘em?” the little boy sniffled. “Mrs. Palmer told you to pick my tulips?” he said scratching his bald head. “Me, too,” the little boy agreed. "I didn't even know May was an inch until today, but Mom says this is the first day of it." "May Day..." Mister Pete said softly. Then repeated it clearly, "May Day." “What old man?” he asked. “Did you put these here?” the little boy asked. “I didn't mean to steal 'em,” the boy sniffled. Mister Pete winced at the word steal then scratched the top of his head. "You were just confused with it being May Day and all…. Boy, do you know what 'may -day' means on a ship? It's actually French—looks like 'M'aider' with an 'r" at the end. The 'r' is silent. It's pronounced just like May Day. Know what it means in French?" The boy shook his head "no." “It means 'Help me!' We get the word maid from it. Know what a maid is?" The boy shook his head "no" again. The boy shook his head "no" for the third time. "Well, never mind then. I’ll teach you: If we hear 'may-day' over and over on the ship radio, we know somebody's in trouble--big trouble and needs help. It's just like S-O-S. Did you know that?" "No," said the boy, "but I am in trouble...big trouble." He wiped his nose on the inside of his shirt. Pete looked toward the boy’s house and gave a thumbs up to a vacant window. The little boy stood with his back against the door jamb and looked around the curious room. To his left was a hat rack draped in shirts and sweaters and a housecoat but no hat. To the right was an old iron bed neatly made. At the foot of the bed was a flat-top trunk that served as a coffee table for a small couch covered in a blanket. In the far corner was an open closet beside a door that blocked the only space not open to the room. The boy assumed that was the bathroom. 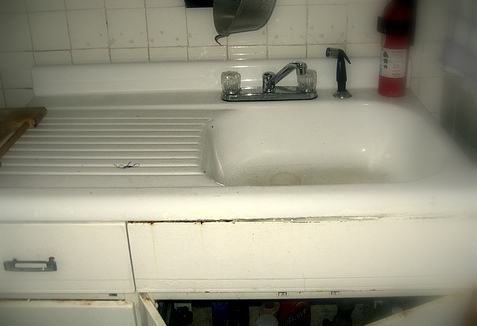 In front of the closet was a chair beside a small table, a stove, and an old-timey sink in a white metal cabinet. Above the sink were two cupboards—not cupboards in the modern sense but in the literal sense: they were boards with cups and bowls and plates stacked in plain sight. On the top shelf, were empty jelly jars that had been collected one-by-one to serve as drinking glasses. From the far end of the shelf, Mister Pete grabbed an empty coffee can for the tulips, added some water at the sink, and brought them to the boy. “Tell your dad he was right, boy. These flowers weren’t yours to take... but they are mine to give. I'm giving 'em to you. That's different. I want you to have 'em. Tell him that. Can you see where you're goin'?” he asked, letting the boy out the door. The old man gently turned the little boy toward home, and started him on his way. The boy went down and up the ditch, glanced both ways, then crossed to go down and up on the other side. Then he turned back to see Mister Pete still standing by his door. "Thank you," The boy said, not knowing which grown-up would win. Mister Pete just waived him on, then nodded again toward the window of the boy's house, somehow certain this whole scene had been watched from afar. 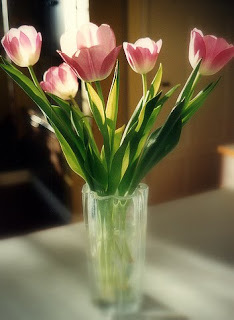 A few minutes later, a vase of opening tulips graced the kitchen table. The boy's father listened to his son, swallowed hard, and tousled the boy's hair with approval. He glanced at his wife but was at a loss for words. "I'll be in the garage," he said knowing he needed time to think. Things were quiet in the house. Alone with his mother, the little boy said, "Mom, did you know May Day means you're in trouble? 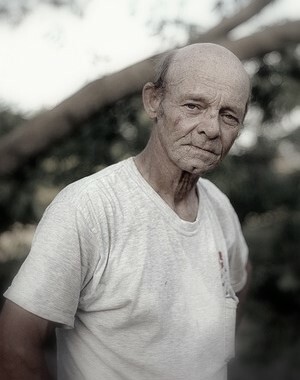 Mister Pete told me that"
"I guess I've heard that in the movies, but I don't think the May 1st May Day means that." "I do," said the little boy. "Mr. Pete told me..." he mumbled, staring at the flowers in the vase. The boy didn't know it at the time, in fact, he did not know it until he was grown, but that day his father slipped out from the garage to return the empty coffee can to his neighbor, who of course, did not expect it back. It was an excuse, really, to go and thank a man he barely knew for adding thoughtfulness to a situation he had handled without a second thought. After all, he reminded Pete, "Doing the wrong thing for the right reason is still wrong." "True...” the old sailor agreed, “but sometimes it's nice to find a right way to fix a wrong. You did what a Dad's gotta do, and I did what I had to do once I heard your boy say 'May Day.' Kind of funny ain't it?" "What the May Day thing?" the father asked. "No," laughed Pete, "Two Navy guys talking 'bout tulips." 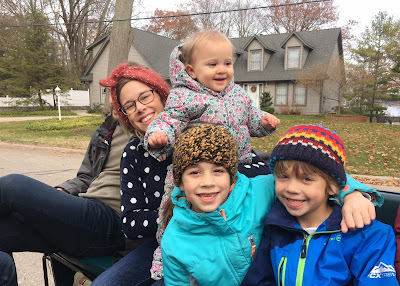 Some time later, a yellow school bus stopped in front of the little boy's house; the double door split open, and his two brothers and sister came running up the gravel driveway. They stopped to talk to their father in the garage, then passed through the kitchen to go upstairs. When they came down in their play clothes, their mother was starting supper on the stove, and their little brother was sitting at the table. "Can we go outside to play?" asked his brother. "For an hour or so," the mother replied. The little boy did not join them. He had not taken his afternoon nap, and his drowsy eyes seemed fixed on the tulips in front of him. He was actually staring past the flowers to the calendar on the wall. It was not the notion of time he pondered, not the numbers of days in a row, not the letters spelling M-A-Y, and not even the tulips standing tall along the path. What caught his eye was at the end of the path beyond the stone steps. It seemed to him that the cottage door was not closed tight, as if to say "come in," and he wondered again who lived inside. and all the down-and-ups of ditches in between. and this had been one such day. Note: This is a revised version of the same story that appears in earlier dates at Patterns of Ink. It is posted here for May Day, 2018. Note: The details and dialogue of "May Day, My Dear" are based on a very true story. It was an hour of my life that I would never forget with a character (Mister Pete) whose kindness turned a childhood blunder into a blessing. He replied to my “May Day” alert, and vividly illustrated the interdependence of justice and mercy. I have no doubt that the next May, Mr. Pete and I would have picked Mom another bouquet (had he been home), but four months after the events of this story, my family moved from our new-built house on Atkins Road in Port Huron to a little house in the suburbs of Detroit.